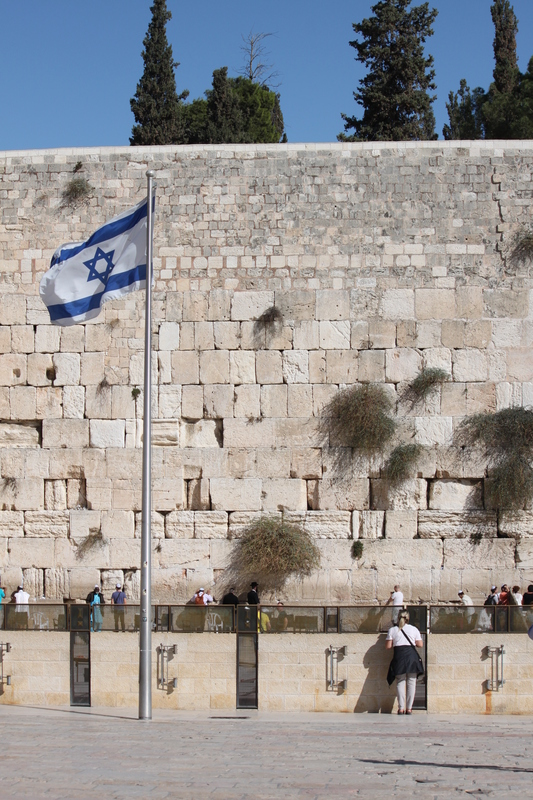 I had been to the Western Wall on Shabbat, and while it was bustling with people, it was a peaceful place. The group didn’t visit the Western Wall until a couple days later, and it was quite different. It was noisy. There was construction. And it bothered several of the women. After all, isn’t a place of prayer supposed to be peaceful? Perhaps that’s just our assumption. We want peace, so we expect it. Sometimes, prayer is peaceful. At least, it usually results in peace as we release our will and acknowledge God’s power and control. But the place of peace? Prayer is often a noisy process. We’re working through our confusion, needs, and doubts as we call out to God. He welcomes our messes. Our prayers often sound like construction zones. Prayers are construction zones. We don’t have to have peace in order to pray. We need to pray in order to find peace. Construction zones are productive. They’re necessary for growth. Without the noise, we don’t grow. What requirements are getting in the way of your prayer life? The only requirement God has is you. Posted on January 12, 2015 December 26, 2014 by SusanHLawrencePosted in IsraelTagged construction, God, mess, noise, peace, prayer, release, will.